Looking for the best encrypted email services for 2018? Here are six encrypted email platforms providing utmost security and privacy orientated services. The year 2017 is gone but the hunt for the most trustworthy and best encrypted email services in 2018 is still on. It is true that email services like Gmail, Hotmail (Outlook) or Yahoo are convenient to use but are they protecting your privacy? Unfortunately, the answer is NO. Yahoo! developed a special software for the NSA (National Security Agency) so the agency could secretly scan user emails while Google admitted reading user emails telling the court that Gmail users “should not expect privacy” and Microsoft was so generous that they helped the NSA spy on Hotmail, Skype, and Outlook users. Based in Switzerland, the anti-NSA secure email service ProtonMail is on top of our list since the company has a proven track record of providing a secure platform to users especially journalists and those concerned about their online privacy. ProtonMail uses end to end form of encryption which means the sent messages are encrypted and the recipient with secret decryption keys can read the messages. 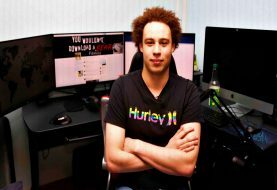 The company also offers free VPN service with “no logs policy“ for Android, iOS, MacOS, and Windows users to fight online censorship. Moreover, world’s ProtonMail also offers the world’s first encrypted contacts manager called “ProtonMail Contacts” that aims at protecting user data with zero-access encryption and digital signature verification features. You can also use ProtonMail on your smartphone through its iOS and Android apps. 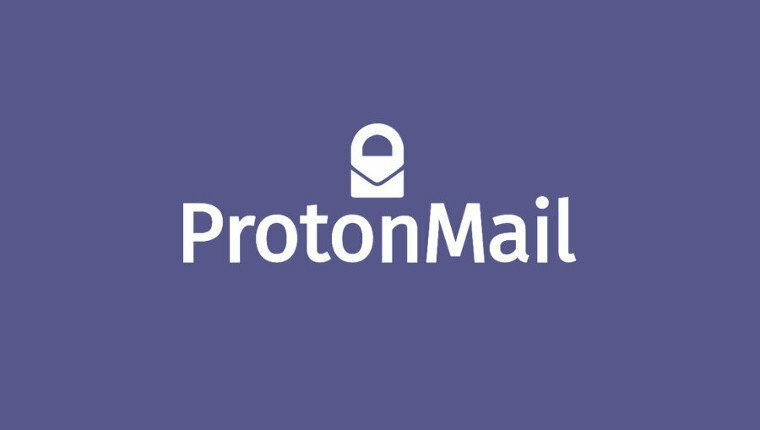 Read more about the service on ProtonMail’s website. 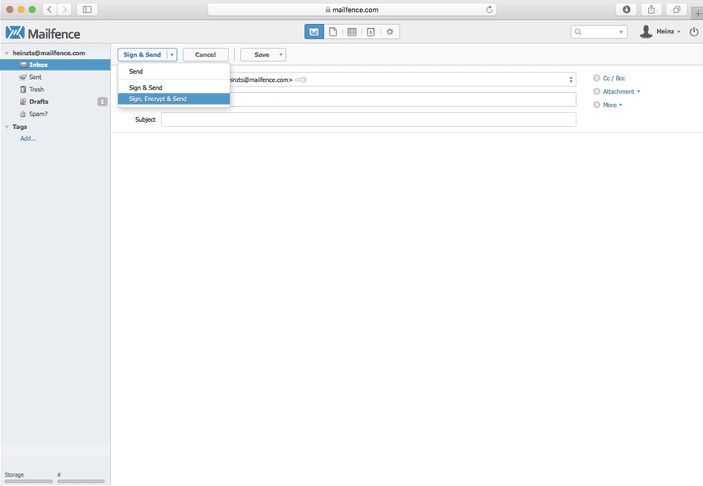 Mailfence is a free and encrypted email provider launched in 2013 by a Belgian (Europe) firm ContactOffice. Like ProtonMail, Mailfence was also launched after Snowden’s revelation regarding NSA’s Prism surveillance program and offers OpenPGP based end-to-end encryption that guarantees that the sent and received messages between user and recipient cannot be read by anyone else. A user can also access Mailfence account using SMTP vs IMAP with any email program they want. Belgium has strict privacy laws, therefore, Mailfence is not subjected to US gag orders and National Security Letters (NSLs). Under Belgian law, all national and international surveillance requests must go through a Belgian court. Read more about the service on Mailfence’s website. 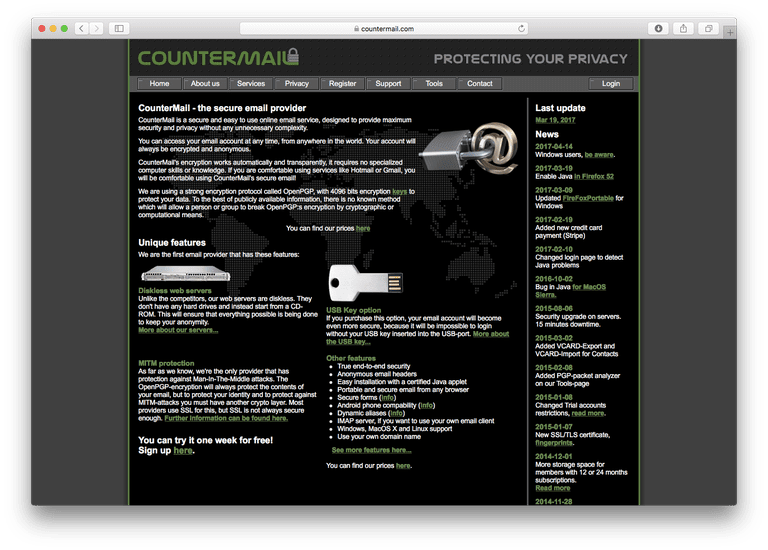 Sweden based CoutnerMail is also a renowned encrypted and secure email service providing end-to-end encryption that makes it impossible to have your e-mail conversation read by hackers, even after taking over your account somehow. 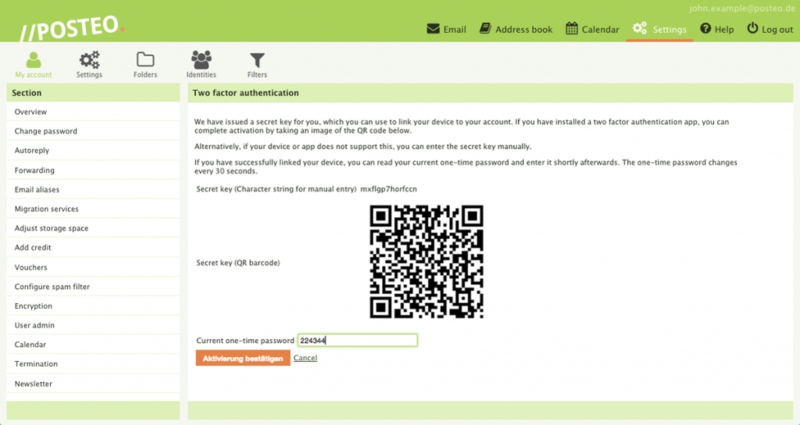 Moreover, CoutnerMail has over 4,000 types of encryption keys. Moreover, the company does not store email data on any server or hard disks and uses CD-ROMs for the purpose which means attackers cannot spy on emails and data leak is also out of question. CounterMail also guarantees protection from government data surveillance. One downside of the service is that it does not allow sending encrypted emails to nonusers, however, users can communicate with any other OpenPGP-compatible email user anywhere in the world. Read more about the service on Countermail’s website. Based in Germany, Tutanota is an open-source end-to-end encrypted email software and freemium hosted secure email service that vows to protect user conversations at all times. Since Tutanota is based on the open-source model its development rate is relatively higher than many other similar services. The company also offers paid packages but regardless of the package you choose, Tutanota encrypts all the messages you send or receive from others. In March last year, the Tutanota announced that the company has more than 2 million active registered users. Read more about the service on Tutanota’s website. Posteo is a German-based encrypted email service. The service has various plans to cater for the different needs of its clients. At the basic level, clients have to pay about 1EURO to use the service for a month. This basic plan includes access to some of the most important features of the service such as POP3 and IMAP support. Also, when you are signing up for this service, you do not have to provide your personal information. All the conventional email services require you to provide your personal information when you are signing up and this compromises your overall level of privacy and personal security. Read more about the service on Posteo’s website. Virtru is an email encryption and digital privacy company based in Washington D.C. The company was founded by ex-NSA security analyst John Ackerly in 2012 and offers end-to-end encryption so your email conversations can only be read by you. The company offers a free basic version and Virtru-Pro subscription that offers additional features that comply with many healthcare, media, government, financial, and legal regulations and of course additional security tools designed for consumer and business use. 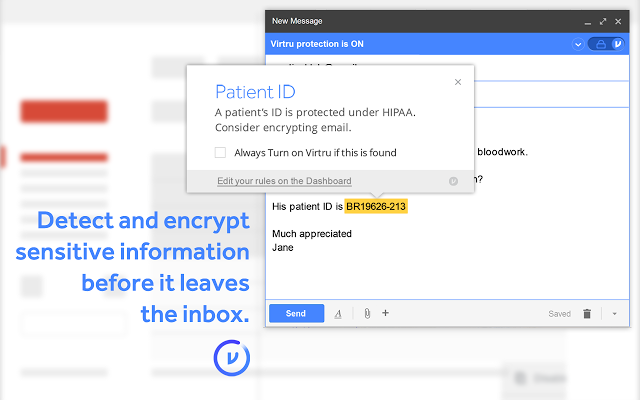 In 2014, Virtru launched business email encryption service for Google Apps, Microsoft, and Salesforce. 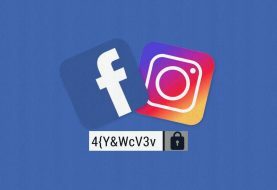 Moreover, you can use Virtru free extension called “Virtru Email Encryption” with your Google Chrome, Android and iOS apps on your smartphone. Read more about the service on Virtru’s website. Yes, there are several other companies running encrypted email platforms and we do not doubt their intentions or capabilities. However, the aforementioned services help you to achieve a number of things including staying anonymous, send private and secure messages, free and user-friendly.